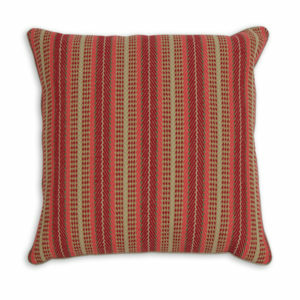 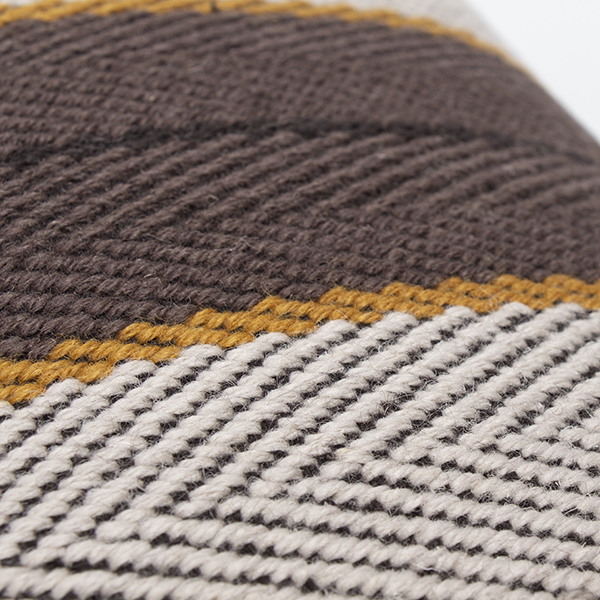 Made with Fitzroy Rosebriar, from the Abigail Ahern for Roger Oates collection. 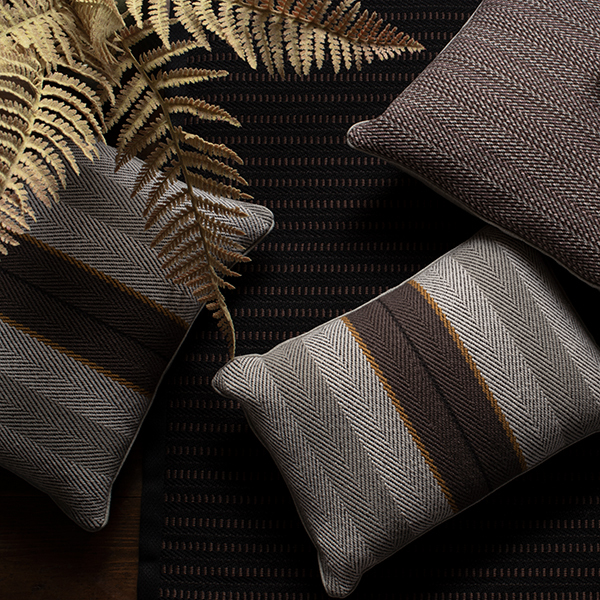 A departure from the original bright and monochrome colourways, This exclusive new hue consists of soft tonal stripes with a rich toned border. 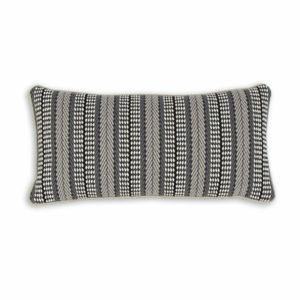 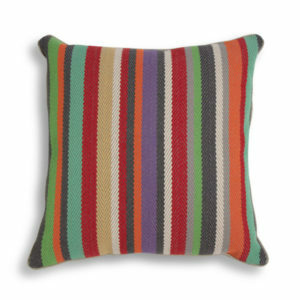 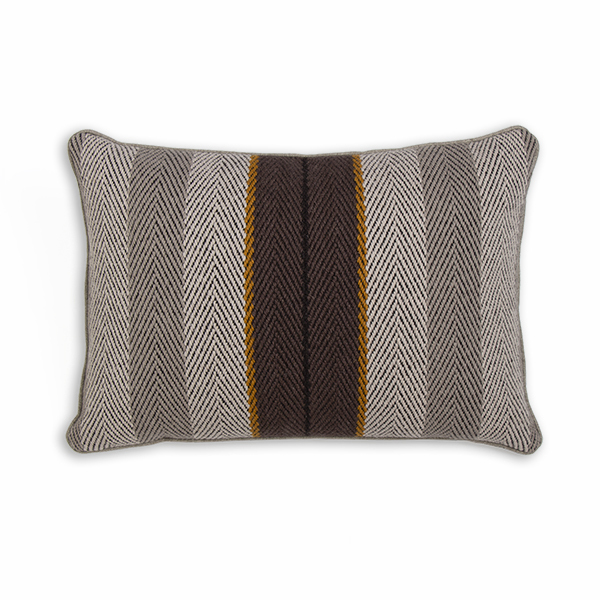 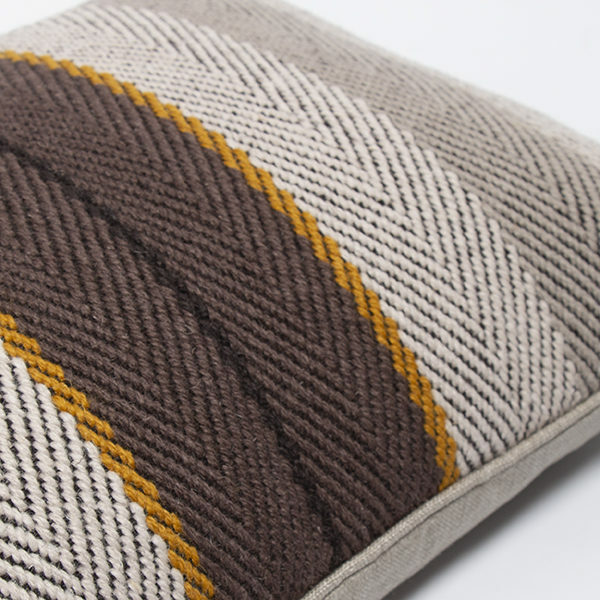 This cushion is backed in natural grey linen and feather filled.